As part of our commitment to improving the lives of people with neurological problems, we believe it is important to continue raising awareness amongst health professionals and to engage with them around the topics of best practice, patient education and the latest available treatments. 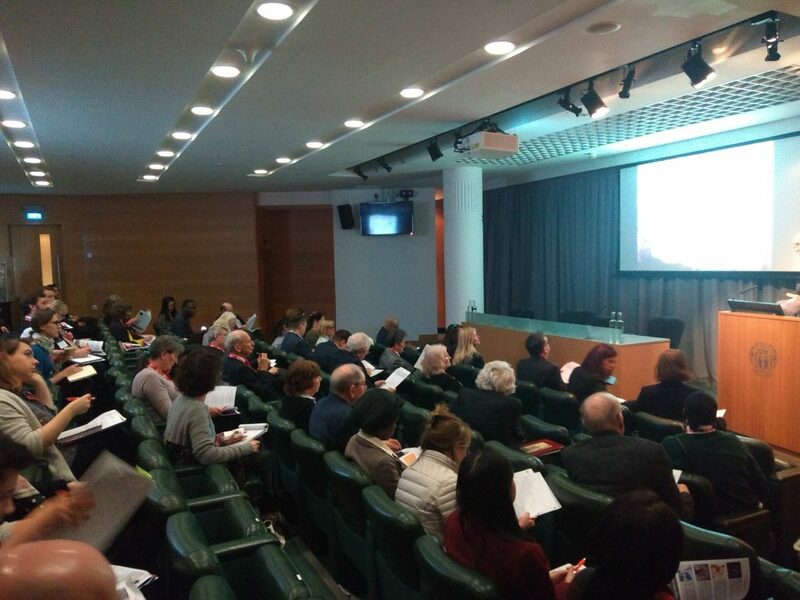 Partnering with the Royal Society of Medicine, the Brain & Spine Foundation were delighted to welcome a host of healthcare professionals to our first ever Neurovascular Study Day. Specialists from various fields of neurology delivered speeches to practitioners who had travelled from all over the UK and further afield - two health professionals had even come from as far as Australia! Alice Doyle, CEO of the Brain & Spine Foundation, opened the day by welcoming everyone and speaking about the importance of the work we do to support those affected by neurological problems. Alice was followed by the chair for the day, Professor Peter Hutchinson, who summarised the event’s aims and promptly introduced the first of 15 expert speakers, consultant neurosurgeon Mr Rikin Trivedi. Fresh from finishing surgery at 2am that morning, Mr Trivedi gave an introduction to neurovascular disorders, talking about the physiology and causes of conditions such as subarachnoid haemorrhage and arteriovenous malformations. Mr Neil Kitchen, consultant neurosurgeon at the National Hospital for Neurology and Neurosurgery, spoke next about cerebral cavernomas. Mr Richard Nelson, Neurovascular surgeon from the North Bristol NHS Trust, discussed the role of surgery in the management of intracranial aneurysms and the importance of shared decision-making between health professionals and patients. He also highlighted why ‘older’ treatments remain valid and important alongside more recent procedures and advancements. Dr Yogish Joshi, consultant interventional radiologist, continued this theme of old and new treatments being complementary to each other as he discussed the recent advances in neuro-interventional techniques. 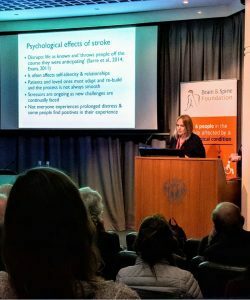 Stroke survivor and Brain & Spine Foundation Trustee, Lizzie Printer continued proceedings with an honest and eye-opening account of what it was like for her when she suffered a subarachnoid haemorrhage in 2011. A former judge and busy mother of two, Lizzie spoke of the difficulties she faced accessing treatment, understanding what had happened to her and also of the impact her stroke had on her family. 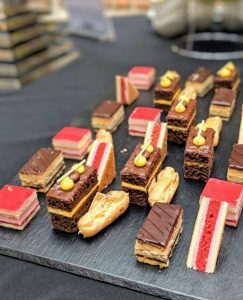 The morning’s talks were followed by lunch and it was great to see many lively discussions reflecting on what we had heard from the first round of speakers. The afternoon began with a presentation on neuropsychology by Dr Emma Woodberry and Dr Georgina Browne from Addenbrooke’s Hospital in Cambridge. Dr Browne introduced everyone to the role of neuropsychology in helping individuals with neurovascular problems, focusing on how it is used for patients who have had a stroke. Motivational interviewing was looked at as a simple but effective tool that everyone in the room could use to improve patient care. Dr Woodberry also talked about how memory can be affected following a stroke and some of the approaches that can be used to help patients improve. Dr Anil Gholkar OBE, consultant neuroradiologist, talked us through the use of medical imaging in assessing patients with a neurovascular problem. Dr Gholkar explained the many ways in which imaging techniques have improved and changed over the years, and showed what kinds of information can be extracted through imaging and how it can be used to inform the best treatment approach for a patient. Consultant neurosurgeon, Mr Hiren Patel, concluded the day’s talks by discussing a potential new treatment approach that might be used in preventing complications and improving outcomes in people who have had a subarachnoid haemorrhage. Mr Patel’s presentation looked at some of the factors that can lead to poor outcomes in patients following a subarachnoid haemorrhage, and how a treatment directed at reducing inflammation may help to change things. 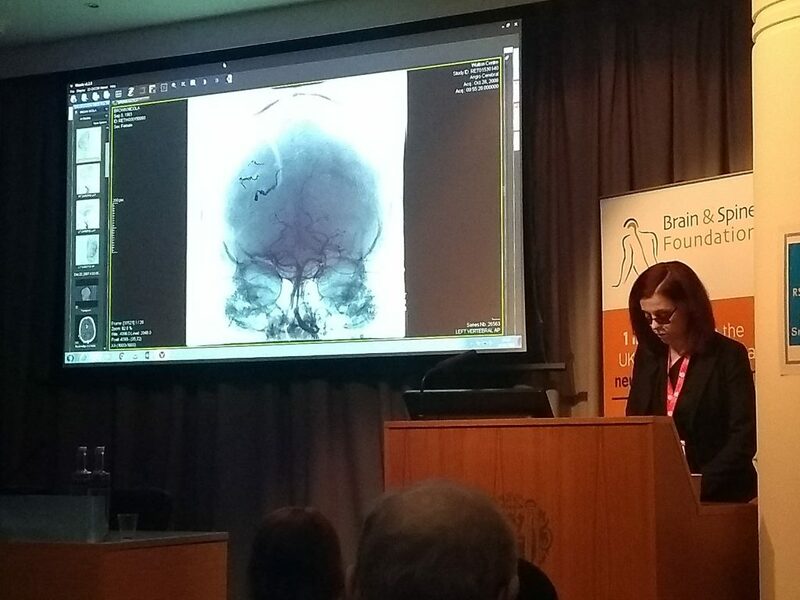 Other highlights from the event included Nicola Brown's speech, which gave details of living with an arteriovenous malformation, and a joint presentation from occupational therapist, Suzanne Thompson, and vascular specialist nurse, Catherine Stoneley, which looked at assessing individuals who have brain injuries and the importance of the ongoing work and research done at the Walton Centre in Liverpool. 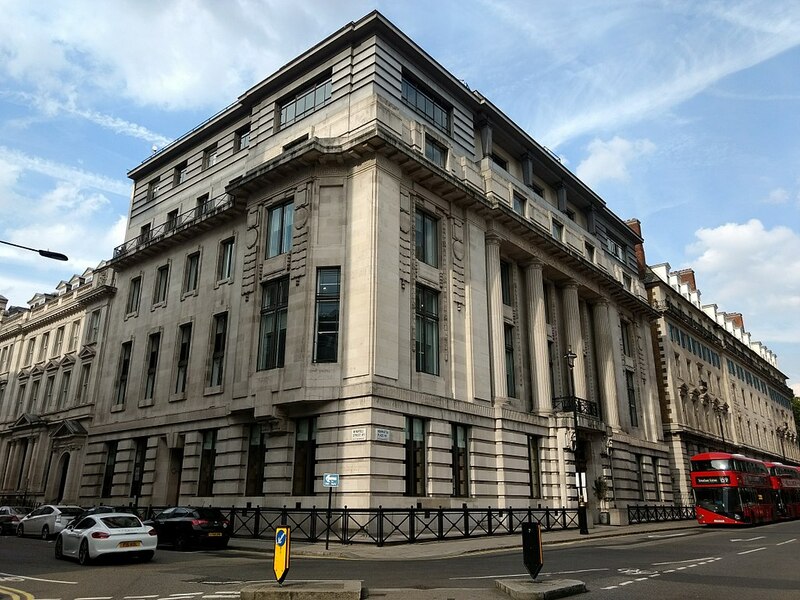 The Brain & Spine Foundation would like to thank everyone involved for making the day such a success, and would like to say an especially big thank you to the speakers on our panel and to the Royal Society of Medicine. We are proud to have been able to bring patients and health professionals together to speak about the ways in which neurovascular problems can be better understood and care for those affected can be improved. A report version of this Neurovascular Study Day is due to appear in the ACNR (Advances in Clinical Neuroscience and Rehabilitation) online publication in the near future. We will alert readers when it is published. Be sure to check back to our Events for health professionals page for upcoming neurological events by the Brain & Spine Foundation and other organisations.